When you’re working in the life sciences, healthcare or cosmetics industries, it’s a fact that regulations and inspections are becoming stricter for everyone – both large and small companies. A thorough quality management system (QMS) – on paper or supported by IT systems – helps you comply with current and future regulations. It also has various other aims, including setting up and maintaining optimum control of your quality, in addition to stimulating continuous improvement of product quality. management systems for identifying improvement opportunities, evaluating audits and CAPAs, and complaints management. Based on this experience, we founded QbD Software, our own technological solutions developed especially for quality management in the life sciences, biotech and med-tech industries. 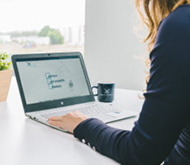 QbD Software enables you to quickly build systems that are fully tailored to your specific needs and are in line with all software validation standards. Discover how QbD Software could help your company. QbD Software is a versatile range of technological solutions developed especially for quality management in the life sciences, biotech and med-tech industries. Want to be sure you meet quality requirements and comply with regulations? Take our quick scan!